This Light Award is sponsored by My Mind Reader and processed through Kiva.org. Patuma thanks Kiva's lenders for the previous loan that they granted her. She used her portion of the loan to buy more bales of secondhand clothing, and this helped her meet her customers' demands, thereby increasing her profits. Patuma is requesting another loan. She wishes to open a shop in her area, but now she will be selling new clothing. She intends to start this new business so she can further increase her profits and her sources of income. Patuma plans to use her profits to pay her children's medical bills and school fees. 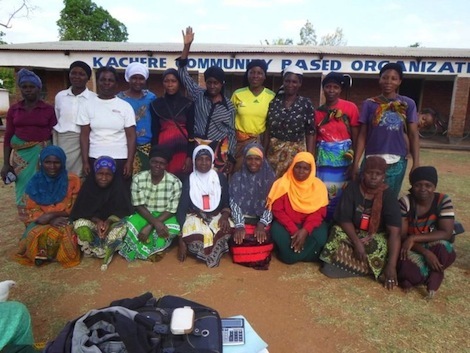 Congratulations to Patuma and the Tukamulane Group in Malawi..!